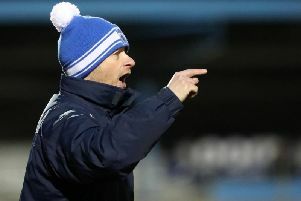 Glenn Ferguson believes the signing of Alan Blayney is a “massive coup” for Ballymena United. Blayney has agreed a two-year deal with the Sky Blues after leaving Glenavon. The 33-year-old is returning for his second spell at the Showgrounds, after spending a season on Warden Street under former boss Roy Walker in 2008/09. The former Northern Ireland goalkeeper – who earned five caps – has also played for Southampton and Linfield. “It’s an area we needed to bolster, so I’m delighted to get a player of Alan’s experience on board,” Ferguson said. “He had a tough time at Glenavon, but I still rate him as one of the best keepers in the league. “It is a massive coup for us to sign Alan. He still has a lot to offer the game and we are delighted to get him on board.